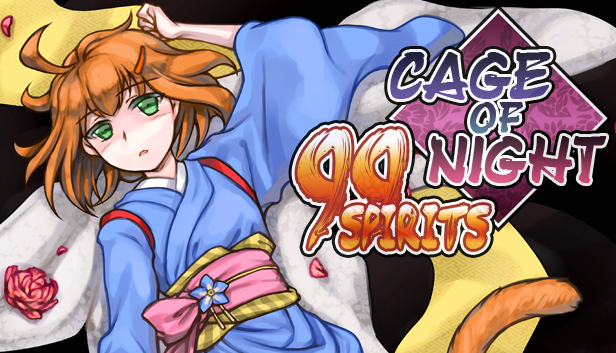 99 Spirits – Cage of Night is now available for the first time in English. It is the first of the two side stories to PC Puzzle RPG 99 Spirits, giving you a chance to know more of the fan favourite support characters. We are releasing Cage of Night directly on Steam as a DLC to 99 Spirits, and it includes both English and Japanese versions of the game. The game stars fan-favorites Saki and Komiya, and adds brand new characters. A story of tragic love and foxes’ games told in visual novel style, the Cage of Night is set during the events of 99 Spirits storyline and is set in a darker mood than the main story. Additionally, it features six Mini Scenarios with in-between scenes from 99 Spirits that will bring a smile to your face and a Developer Symposium with commentary by TORaIKI, 99 Spirits’ creators to tell you where and how this all started. 99 Spirits – Cage of Night was a successful stretch goal on the 99 Spirits IndieGoGo project. Last weekend had the pleasure to be interviewed by Adam Ames from True PC Gaming. It ended up a long and fruitful talk, so if you want to read more about our work on 99 Spirits, head on over to http://truepcgaming.com/2013/05/15/trial-and-error-99-spirits-interview/ and give it a read! We have been sending review copies of 99 Spirits around for the past week or two – if you haven’t gotten one but would like to review the game, just shoot us a message. Our current status is such that the game is fully in order and we are preparing the gold master to give to our distributors this weekend. Almost all IndieGoGo goods have also been produced, save for the game discs for the special collector’s edition, which of course will get the release version of the game. We will ship all of them together when they’re ready. We would like to thank Jake for this fun interview, and we hope you’ll enjoy reading it. OH! By the way, we are at 85% on the 99 Spirits’ IndieGoGo campaign. It’s so good to see more people pledging everyday. Thank you! 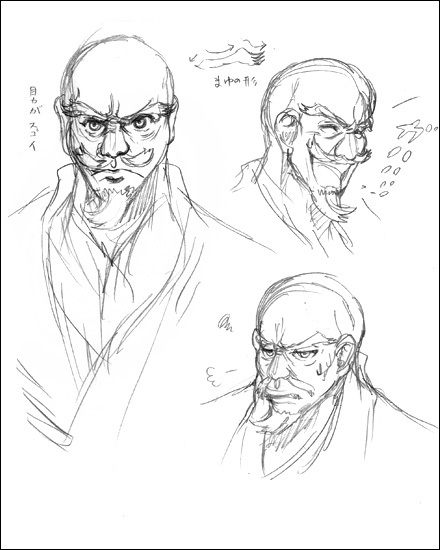 Here’s a sketch from the 99 Spirits artbook we’ll release as part of the campaign. A taste of things to come. As we’ve been busy working on 99 Spirits and suddenly realized we haven’t posted anything on the blog this week, today we decided to bring you an interview with one of our own: Tony Blomqvist, the coder, proofreader, infamous walrus lover. Jakke: Can you tell us a little about yourself, Tony? Tony: I code stuff and it either works or doesn’t, I like music and anything Jakke doesn’t like. Tony: and I believe all monkeys should be set free. Jakke: Quite so, quite so. Now for the thousand dollar question: what is it you actually do around here, Tony? Tony: Well, dearest Jakke McFlammy Flemington, a lot of different incoherent things. My main participation is in creating scripts and programs that help Fruitbat Factory’s localization projects, as well as proofreading the text. With War of the Human Tanks, I made the installer and launcher, developed scripts for managing the project’s text files, and edited the game’s source code to improve some text positions and gameplay mechanics. Jakke: Oh, yeah, I think that rings a bell. What would you say was the hardest aspect in working on War of the Human Tanks? Tony: Studying the game’s code with no prior C/C++ experience! As someone who has only recently started programming (mainly with Python), there was a lot to learn. The engine War of the Human Tanks runs on, System 4.0, allows games to be coded with C-like abstraction, but it was all new to everyone on the team, and all the documentation, of course, was in Japanese. Though frustratingly difficult at times, it was also a very educational process, and taught me a lot about C and code structuring. When I eventually could comfortably alter the code of bigger segments such as changing pre-battle tank repositioning to work on-the-fly, it felt very rewarding. 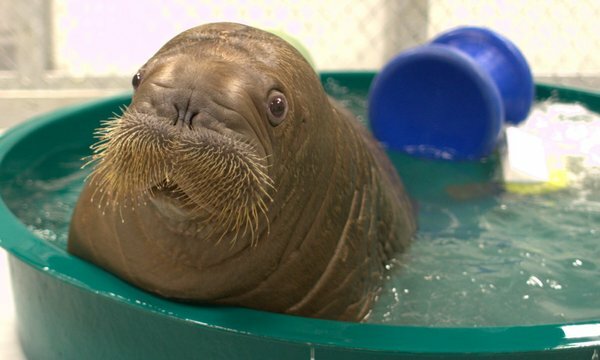 Jakke: What about your strange, unnatural love for walruses? Tony: My love for walruses. Now that’s a tough one. I have no idea. I guess the Finnish word for a walrus sounds cute? Yeah. Oh, there’s that Beatles song about walruses. That’s pretty trippy. Maybe that has affected me too. Its name is, unsurprisingly, “I am the walrus”. John Lennon wrote the song after he had heard that there’s a study group that likes to analyze the meaning of his lyrics. He made the lyrics totally nonsensical and thought “let the fuckers figure that out”. At least so Wikipedia or some other documentary claimed. That’s my most trusted source, I have to admit I wasn’t there. Jakke: Thank you very much for the insightful commentary on the state of modern localization work. So Last Gen, who earlier did a review on War of the Human Tanks by the tile of I love the Smell of Napalm in the Morning asked us for an interview. We had fun answering their questions about the secrets behind the Fruitbats. For your eyes only: Interview with a Dev: Fruitbat Factory. They even published some photos of us, though this one seems a little obstructed. Also, another stage of the five-chapter “Let’s Play” guide for War of the Human Tanks is now up. This time it might even be helpful!